At Bathselect, we care about the satisfaction of our valued customers like you. 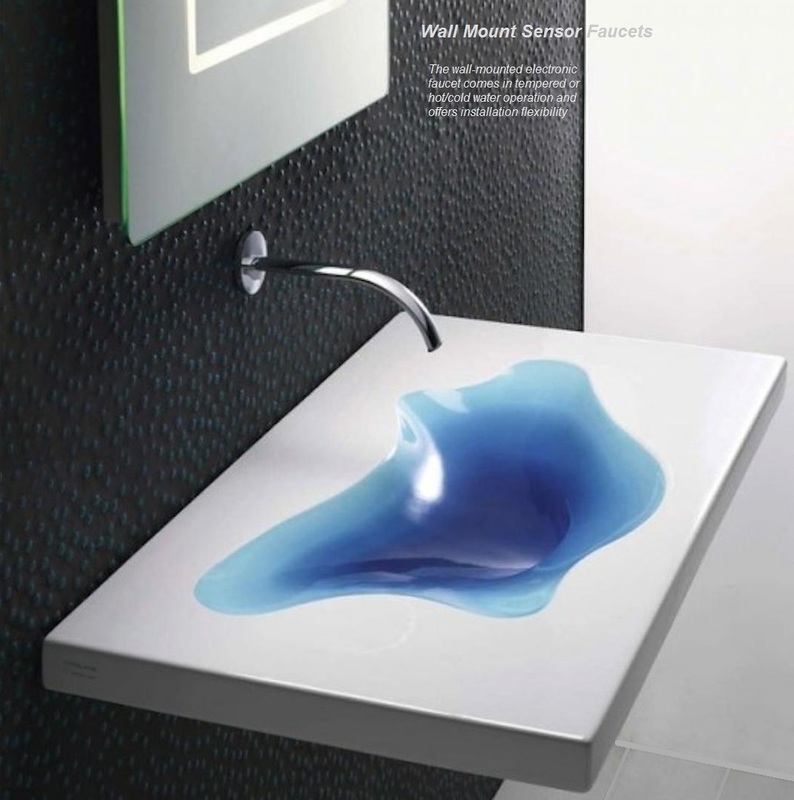 From a wide range of sensor faucets on Bathselect wall mount sensor faucets are just wow faucets that you can't miss for your bathroom. We at Bathselect always want to deliver more than your expectation, and in a series of that our wall mounted commercial sink faucet are wondering & jaw opening for those who see or use your bathroom first time. Don't Miss the chance to impress your guests. After all, the first impression is the last impression. Besides the look, using wall-mounted sensor faucets are a great way to free up space in your bathroom, especially countertop space, from this, there is no better option than a wall mount. 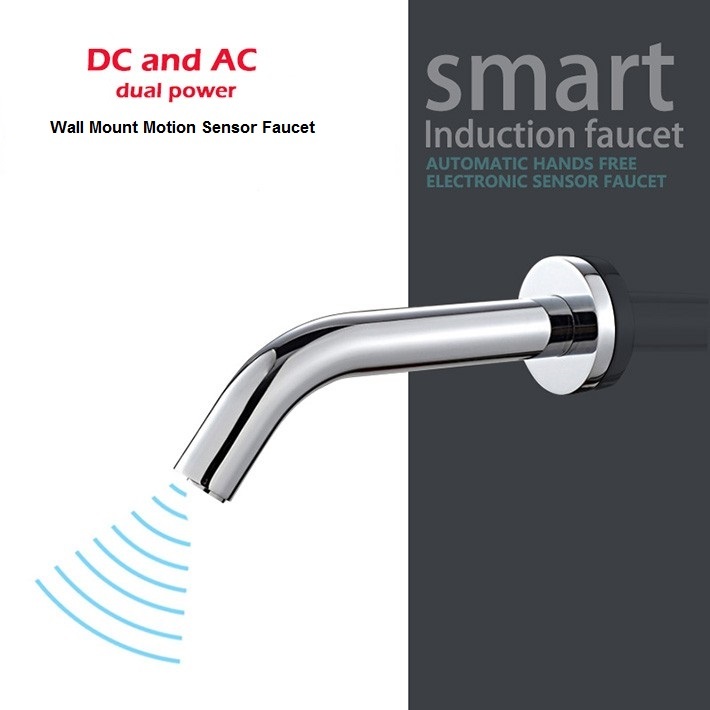 The wall-mounted electronic faucets residential comes in tempered or hot/cold water operation and offers installation flexibility. Those self-closing quality faucets help you to save water, energy, and money and are great for commercial use applications in public bathrooms, be it airports, malls or hotels. Pocket saving and significant value to your dollars. The chrome-plated brass, hardwired faucet operates using an infrared sensor. Bathselect pays you back with the best quality bathroom faucets for your hard earned money with the complete satisfaction. Bathselect always run special promotional offers for this from where you can get discounts up to 70% on stylish, elegant, modern bathroom faucets for your bathroom to renovate. Our Collection of Wall mount sensor faucets includes different finish and style like Oil Rubbed Bronze Finish wall mount automatic sensor faucets,wall mount bath faucet oil rubbed bronze, Chrome and matte finish. Some of the wall mount sensor faucets come with an option of automatic temperature control as well. There are no reasons to say no to stylish wall mount sensor faucets of Bathselect. Buy today! Shop with confidence!